Out of the many spectacular things Toronto has to offer its residents and visitors is its luxurious spas located in the heart of the city. 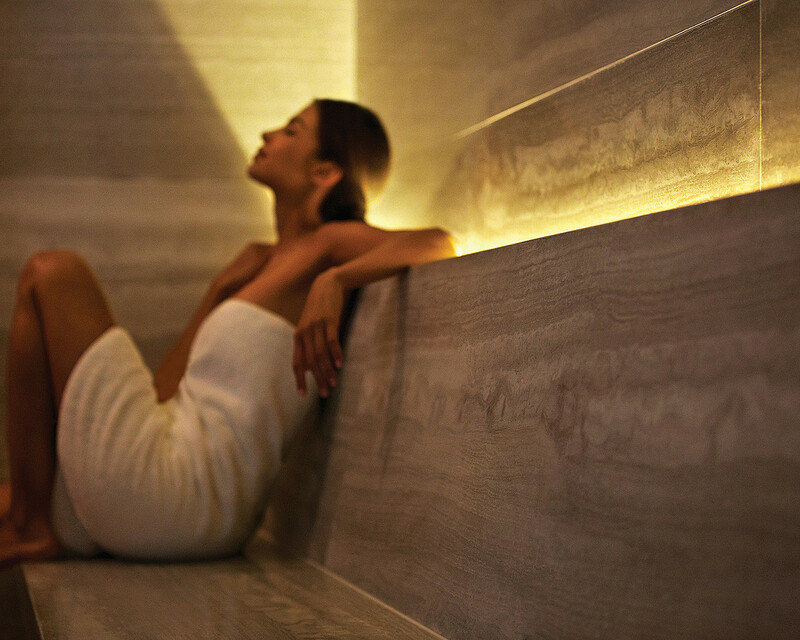 Most of Toronto’s top relaxation destinations are situated in high-end hotels around the downtown core – appropriate, given the deluxe surroundings and often-elaborate treatments on the menu, and each one of them offers a unique escape from the day-to-day routine. Whether you’re looking for a tension-busting massage, a glow-boosting facial, an exotic body treatment, or just a really good sweat in a steam room, these spas will serve it up. 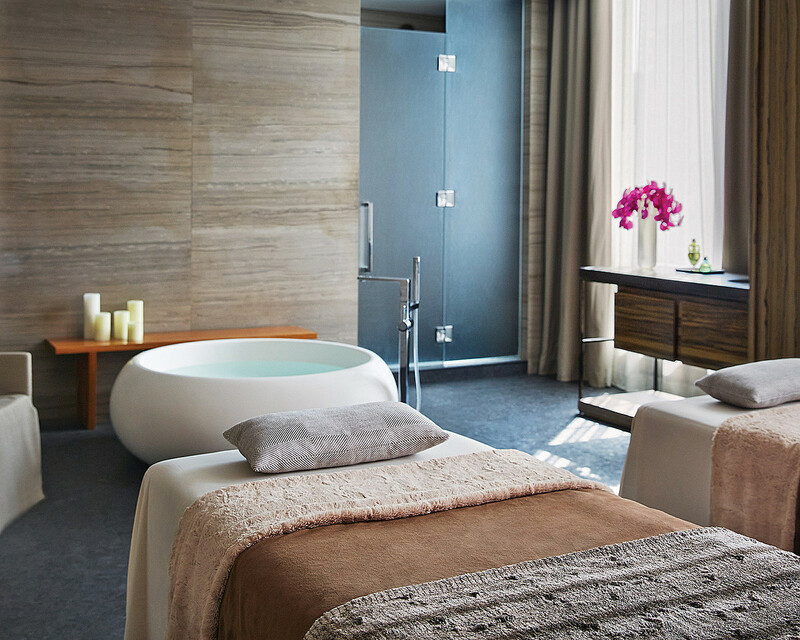 At the top of the list of the best spas in Toronto is The Spa Four Seasons Toronto where I treated myself to a luxury massage treatment this past October. 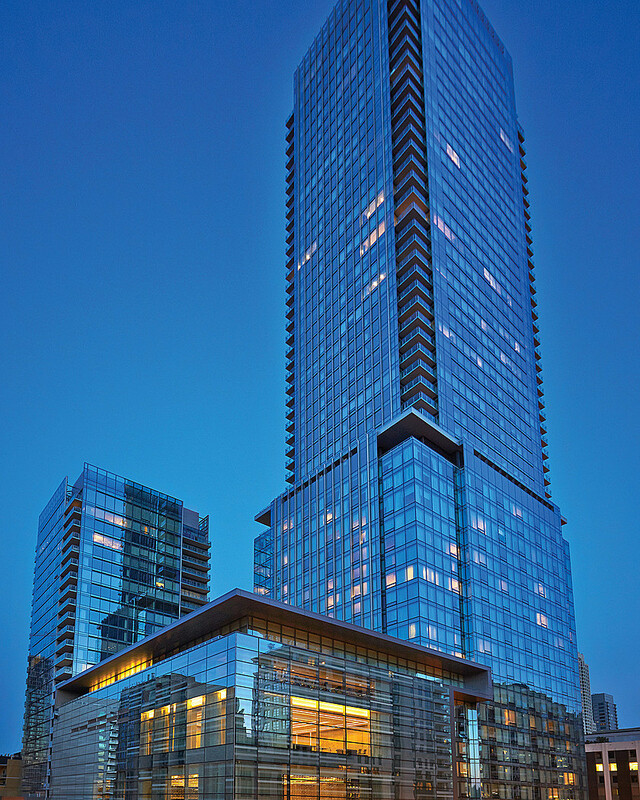 The Spa at Four Seasons Hotel Toronto is located in the heart of Yorkville, on the ninth floor of the Hotel. 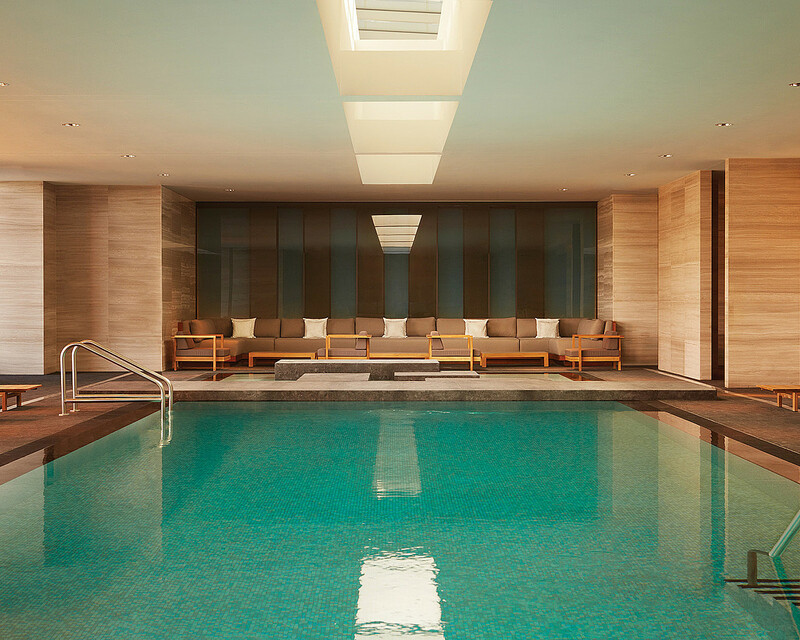 The Four-Star, 30,000-square-foot sanctuary offers 17 treatment rooms, two steam rooms, a salon and a sunlit indoor relaxation pool with lavish seating for quiet afternoons by the water. 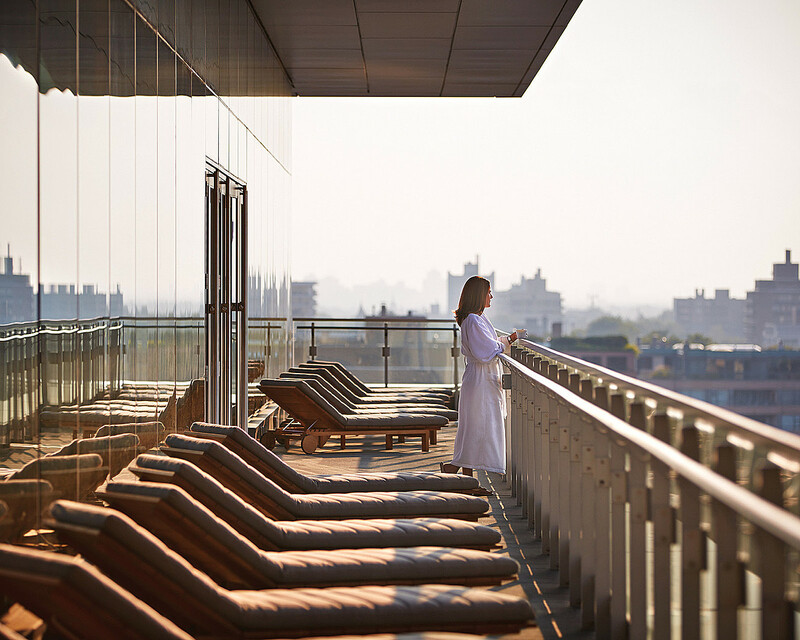 With an outdoor terrace overlooking a breathtaking view of Toronto (available to registered hotel guests, residents and individuals with facial or massage appointments – based on availability) this is the definition of bliss. But don’t take my word for it; experience it for yourself. There are many reasons to fall in love with the Spa at the Four Seasons Toronto, starting with just how peaceful the atmosphere is. It’s hard to imagine ever going back to a spa that’s not all about sunlight, white space, and top-notch treatments once you experience a day in this urban oasis. The moment you walk in you are greeted with smiles and treated like royalty. Their treatments themselves are standout, if pricey. Their signature “We Are Yorkville” treatment is a soothing and hydrating treatment. It pays homage to the neighbourhood’s 1960s days as a free-spirited centre for artists, poets and people seeking to express themselves. It includes a foot bath, full-body dry brushing, hemp seed scrub, warmed honey wrap and a patchouli hemp oil massage ($495 for 195 minutes). If you are not into fancy treatments I recommend simply booking one of their massage therapy sessions. The deep tissue massage I received was fantastic. It uses a special blend of peppermint, eucalyptus and rosemary. This deep tissue massage will naturally help to release muscle tension ($180-265 CAD/60-90 minutes). My treatment was a 90 treatment with a wonderful therapist named Nicola. This massage quite literally massages you from head to toe. After the main massage Nicola also included a foot, head and scalp massage, which was totally indulgent and made me feel completely pampered. Nicola’s expert hands created a massage that felt entirely bespoke to my body and its problem areas. The massage was one of the best I have had in my life, which was further improved by the luxurious surroundings and ambiance of the spa. My experience at The Spa at Four Seasons was a memorable one. If you’re looking to experience relaxation at its best, I highly recommend this urban oasis. For more spa info on Toronto spas visit my Toronto Spa Reviews page. nice! I can only hope to make a lot of money and stay in one of these luxury places! Book a slice of paradise!